THINGS I KEPT INSIDE ME by Aleksandra Kardum (from Croatian language translated by Damijan Šinigoj) is a novel about the thirtieth birthday in a slow saturday forenoon. And a pregnancy test. Positive. THE WITNESS by Zilhad Kljucanin (from Bosnian language translated by Damijan Sinigoj) is a novel which shows the war in Bosnia in all the most awful details. 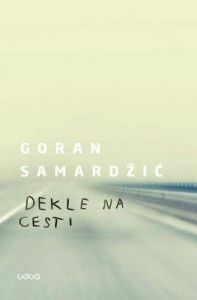 A SHORT TRIP by Ratko Cvetnić (from Croatian language translated by Damijan Šinigoj) is a novel which shows the war in Croatia from a realistic perspective.